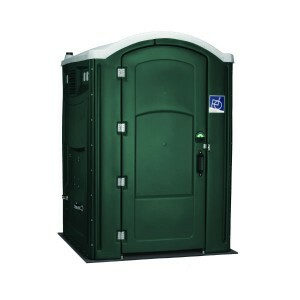 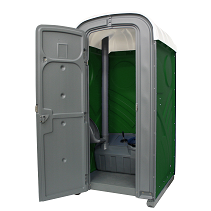 We are now able to offer a mains fed portable toilet. 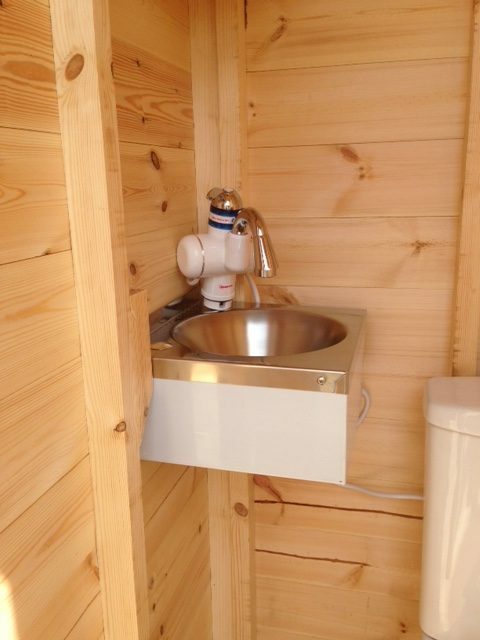 Complete with a porcelain toilet and cistern, a stainless steel hand washing sink, with the option of a hot water feed, these units are ideal if you are on mains sewage and mains water. 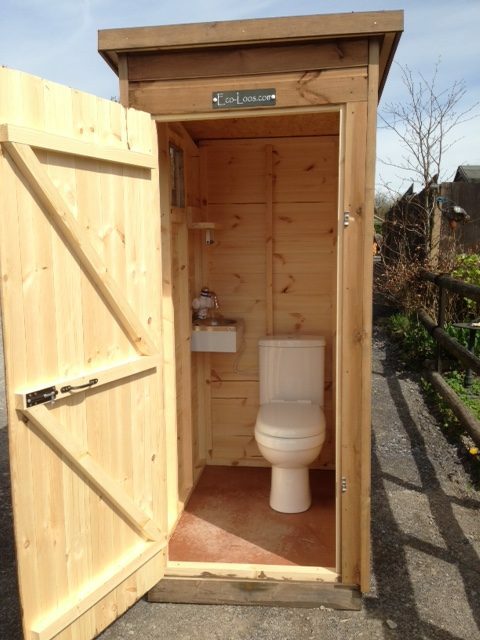 Ideal for the bottom of the garden, self-build projects or situations where you can plumb into the mains. 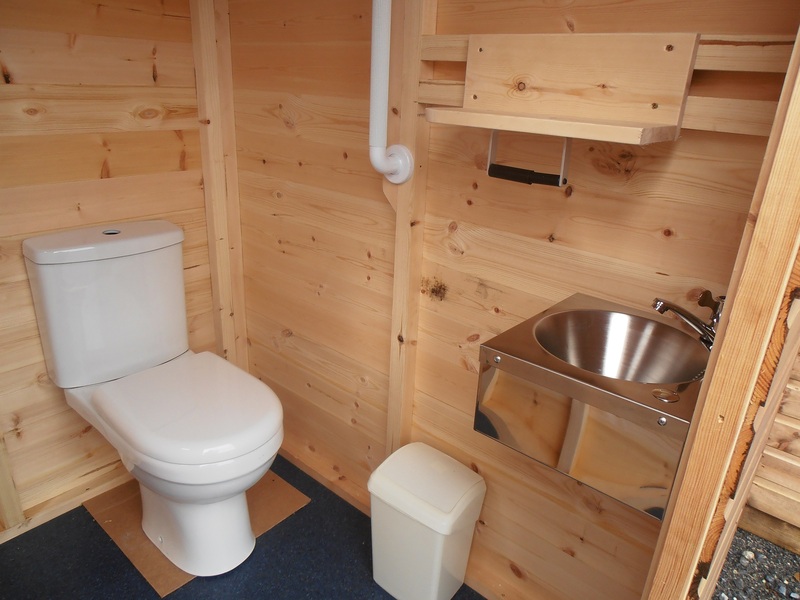 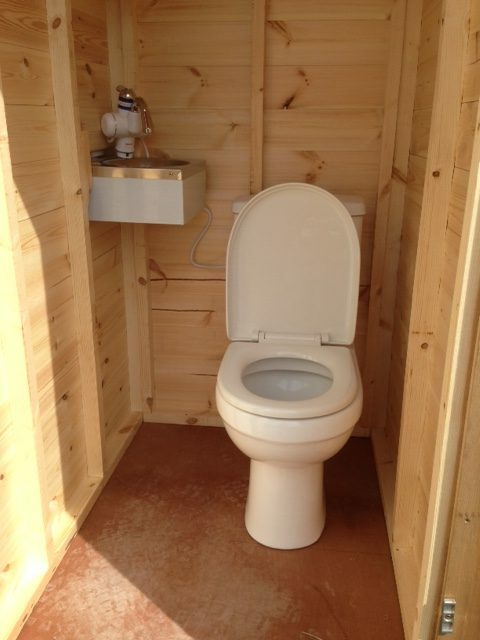 Our mains fed toilet cubicles are to the same high standard as our composting toilets, built the same way, just a good looking timber cubicle. 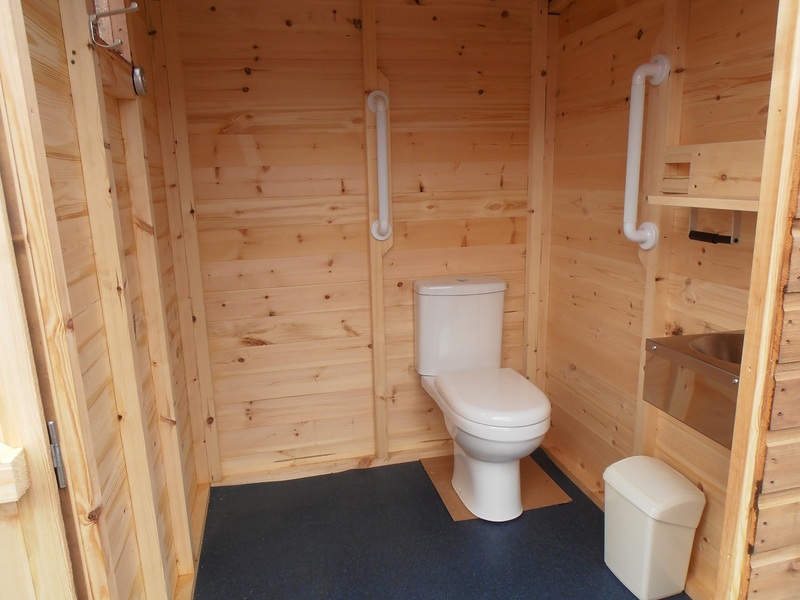 We are also able to fit the waterless urinal into the medium and disabled access cubicles used in our compost toilets. 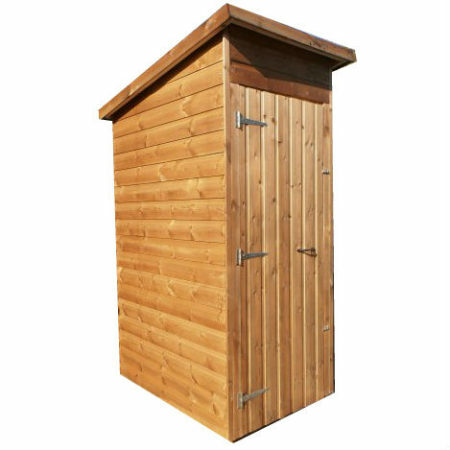 Delivery cost: £240 (inc VAT) for mainland U.K. delivery. 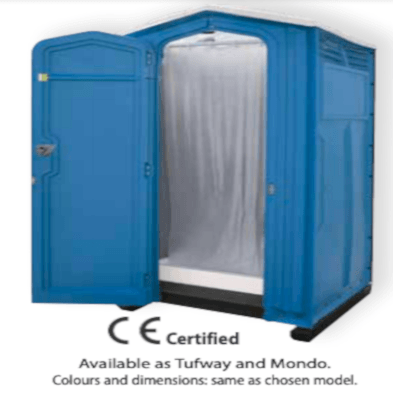 These units are hand built to order, normally delivery is within 14 days, however please be advised that during busy periods this may result in a 21/28 day lead time, please contact our freephone number 0800 138 9246 for current production times.